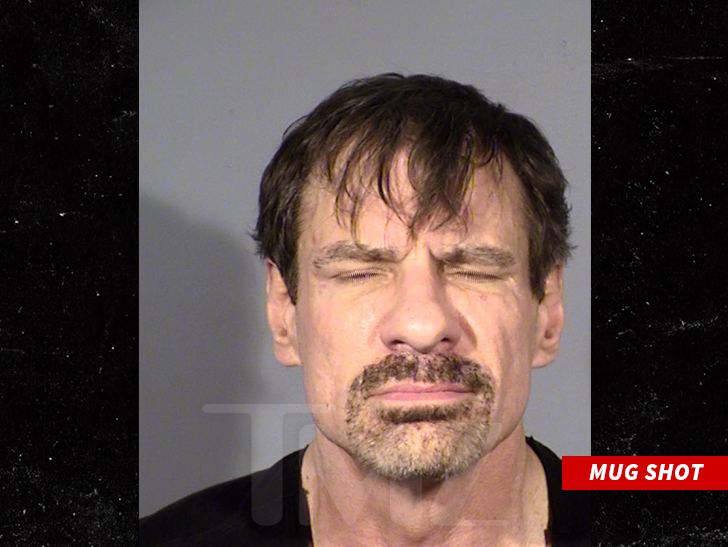 Henry Nicholas III — the billionaire co-founder of tech giant Broadcom — was arrested after cops say they found cases of hard drugs in his Las Vegas hotel room, and his mug shot kinda says it all. Law enforcement sources tell us … Nicholas couldn’t get into his room at the Encore Tuesday and when security assisted, they discovered his girlfirend, Ashley Fargo, was unresponsive with a semi-deflated balloon in her mouth. We’re told paramedics responded and revived Fargo, but security began questioning Nicholas about the balloon and canisters, which he admitted were nitrous oxide. Our sources say security also noticed 2 cases in the room which needed to be inspected per hotel rules … because they looked like the kind used to carry weapons. Instead of weapons, Vegas PD found one case full of marijuana and another full of what appeared to be narcotics. The couple was arrested and booked for felony drug trafficking of multiple controlled substances … including heroin, cocaine, meth and MDMA. Some of the pills were stamped with Winnie the Pooh. Nicholas, whose company manufactures semiconductors, has a history of serious legal issues. He faced felony securities fraud and drug distribution charges a decade ago, but they were later dropped. Fargo is the ex-wife of a Wells Fargo heir, Brian Fargo.